Catastrophic injuries are life-changing. 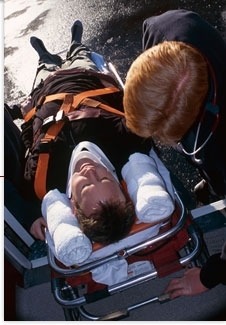 Traumatic brain injuries (TBI), spinal cord injuries, construction site accidents, amputations, serious burns and crush injuries have long-lasting effects and put a severe financial burden on the injured. Medical expenses like lengthy hospital stays, medical devices, rehabilitation, residential care and in-home nursing services can add up to massive amounts of money. At the law office of Lum, Drasco & Positan, our attorneys regularly work with accident investigators, medical experts, medical economists, and other professionals to investigate the causes of catastrophic injuries and assess the financial damages incurred by our clients. 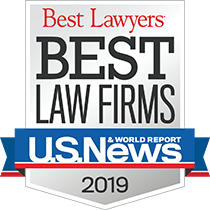 Our personal injury lawyers Dennis J. Drasco, Cynthia A. Matheke and Arthur M. Owens are prepared to meet the challenges of successfully handling difficult personal injury claims. We are well-aware of the strategies used by insurance companies to dispute claims, reduce claim amounts and attempt to assign partial or full blame for the accident onto our client. Our personal injury lawyers have years of experience protecting the rights of the victims of catastrophic injuries and aggressively arguing for their recovery. To schedule an appointment and learn how we can help you, contact personal injury attorneys at the law office of Lum, Drasco & Positan today. We also represent individuals who need assistance with ERISA and disability claims. We understand that today's courtrooms can be technically and scientifically sophisticated arenas. We have the resources and experience needed to enter the courtroom, challenge expert witnesses, and use the latest computer techniques to recreate accidents and simulate what happened to cause your catastrophic injury. Even though we are skilled litigators, not afraid to take your case to trial to achieve the best result, we are equally comfortable at the negotiation table trying to reach a fair settlement for you. To schedule an appointment and learn how we can help you, contact the law office of Lum, Drasco & Positan today.